The raising of flags in different countries reminds the world of the illegal occupation of the Crimea by the Russian Federation. Within the framework of the nationwide communication campaign "Crimea is Ukraine", on the occasion of the Day of the Crimean Tatar National Flag, the Embassies of Ukraine in different countries are holding flash mobs under the motto "Two flags, one country". Employees of Ukrainian embassies raise the flag of the Crimean Tatar people along with the flag of Ukraine, reminding the world of the illegal occupation of the Crimean peninsula by the Russian Federation. Thus, today two flags have been raised over the Ukrainian embassies in Poland, Slovenia, Belarus, Japan, Bulgaria, Tajikistan, Brazil, Russia and Japan. 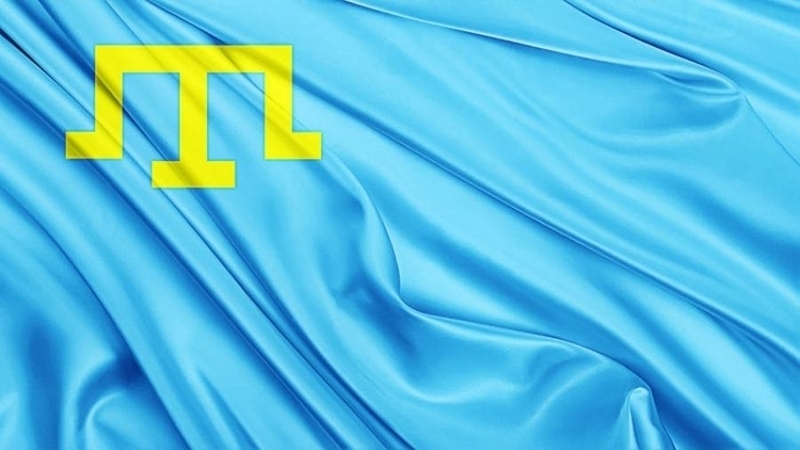 Reference: On June 26 Crimean Tatars celebrate National Flag Day. Also, QHA published an announcement of events in Genichesk, dedicated to the Day of the Crimean Tatar flag.